Studio #28 - Updated in Nov 2017. Darling Small Studio with 1 QUEEN Bed. Shared Patio. Close to Pool. 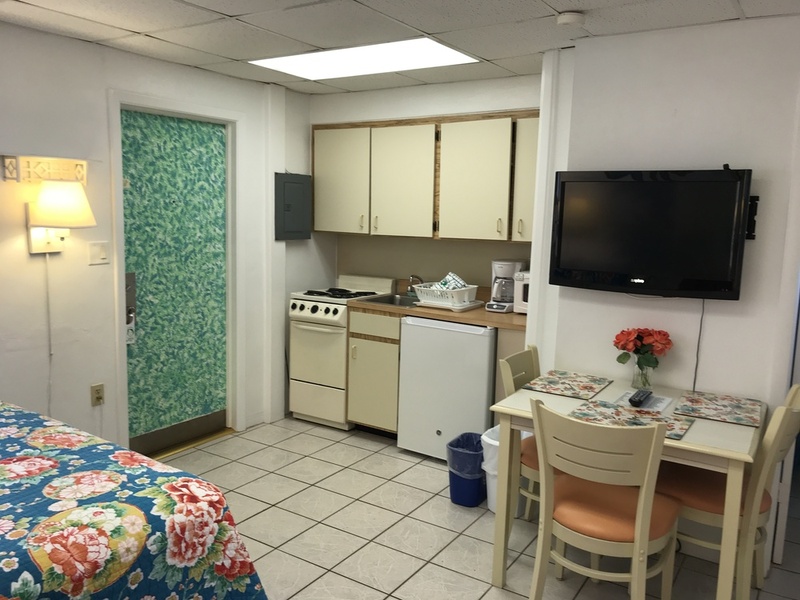 Max Occupancy: 2 Excellent Value - Bright and Colorfully Furnished. 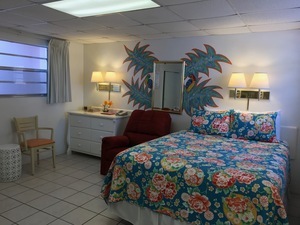 This room NOW has 1 Brand New, Comfy Queen Bed and is Perfect for a Couple. Very Convenient Location on First Floor Just a Short Walk to Pool Area. Full Kitchen. Small bathroom with newly updated shower. Shared Ocean View Patio. Please note that this room is small and does not have a view due to its interior location. But, it is very affordably priced and is very conveniently located on the first floor, close to our pool area. "My family has been coming to Tropical Manor for years. It is so nice, everyone is very friendly. 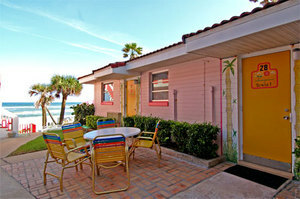 Its the perfect place to stay in Daytona Beach!!!"